Two high school friends are making a online show called Boo Ya which features them pranking people. One of the friends needs to make some extra cash so takes a job at an old ladies house looking after her bird and generally cleaning the place up. When his friend shows up they start to investigate the property and go up to the attic where valuable things are stored. One thing though that isn't particularly valuable is an old doll called Heidi that looks like it has better days. A little creeped out by the doll they leave the place but then that is when they both start to experience strange events in their homes. Naturally no one believes the two pranksters, but are they really making it up or is the mysterious doll out to get them. What makes this found footage style movie work is that just for a change the characters are recording everything for a reason, one being they want to become film makers and the other being to capture footage of Heidi on the move. Though saying that there is moments where the film feels sluggish and could have done with being edited tighter. The doll is actually quite creepy in that it looks innocent but it also has a look of something not quite right about it. It was nice to see the film makers being practical with how Heidi gets around with only a few shots of you seeing it actually move. Gorehounds out there won't get to see much blood flowing here but you do get to see a horror film that makes good use of its budget and surroundings. 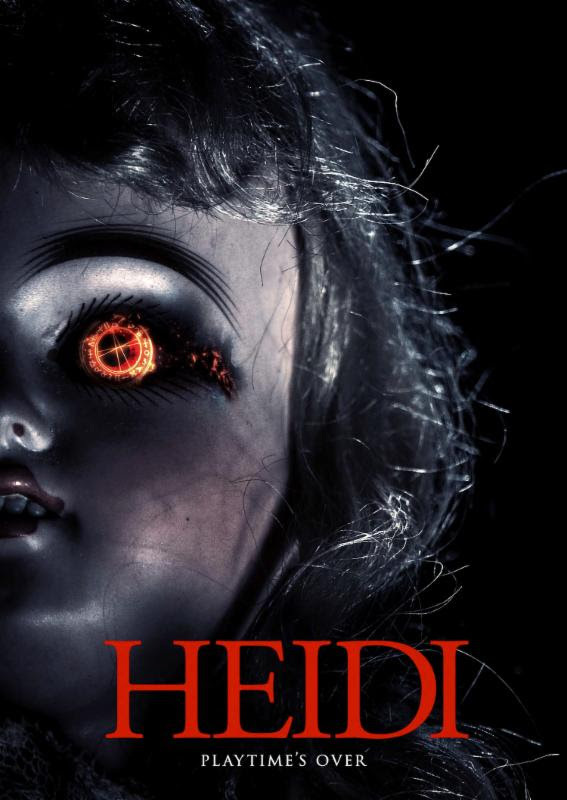 If ANNABELLE didn't scare you enough and CHUCKY makes you laugh more then fear him then check out HEIDI.